This is a collection of tools I recommend to every blogger. These tools help make a blog post more sophisticated, more complete and also help with promotion and analysis of the blog posts after publishing. If you want to become a professional blogger or want to take your blogging to the next level, then check out the list of tools, sign up for them and start using them. Keep in mind most of these tools are free or have a free version, but some are paid only or only have a free trial. I personally use every single tool listed here and in most cases, I have the paid version. I consider them essential to my business and as a professional blogger, I think of them as part of the cost of doing business. If you want to become a professional blogger or want to take your blogging to the next level, then check out the list of tools, sign up for them and start using them, learn them, improve your workflow but I would also love your feedback and any tips about your favorite tools to use when blogging. Also as a matter of disclosure, you should know that some of the links I have included in this post are affiliate links. This means I might get a small commission if you decide to sign up for the service, under no circumstance will you pay more than if you signed up on your own. You should know that you might, in fact, get a better deal by signing up through my link, not to mention that you will support my work so I can continue to bring you blog posts full of valuable information like this one. So without further ado, here's the list. You can start a blog with various different tools, Medium, Blogger, Tumblr, but hands down, the best blogging platform when it comes to a balance of features, reliability, and customizability is a self-hosted WordPress blog. A blogger that is using one of the free services like blogger is usually considered a casual blogger or hobbyist. There's nothing wrong with these services, but they are limited and hard to customize when you need to grow and expand. Some of the services I mentioned allow you to upgrade from the free version to a paid service which will give you more options, but ultimately they still restrict your ability to fully customize your readers' experience. If you want to be a serious blogger in 2017 and for the foreseeable future, start your blog on WordPress.org or move to a WordPress.org blog. There are many companies that offer web hosting and will help you setup a self-hosted WordPress blog. You can find some of my recommended web hosts on this blog post about web hosting, and you can read more about self-hosted WordPress here. Spell check is so 2005. As a blogger, you need Grammarly before you hit publish on your next blog post. Grammarly is the world's best proofreader according to them. It extends beyond the basic grammar and spell check and intelligently corrects your text so you can put your best work in front of your readers. It's easy to use and works with all major browsers, and did I mention that it's free? Your readers will appreciate that you can write well. Just by using Grammarly and following the suggestions provided on-screen, you will start writing better posts which will make your writing more professional. Get started with Grammarly for free here. This little online service helps you correctly capitalize your titles. It works no matter what style you want to follow, AP, APA, Chicago or MLA. Just visit the website, paste in your title and click the style you want to use and it will automatically take care of capitalizing the words properly. Completely free to use here: capitalizemytitle.com. Graphics play an important role in every blog post. But you don't have to possess great Photoshop skills to create great graphics for your blog posts. Canva is a free online service that helps you make title graphics, infographics, and other graphical elements to make your blog posts stand out. Get a canva account for free right here. I recommend it to almost all new and established bloggers. Using images in your blog posts helps improve reader engagement, shareability, SEO and ultimately makes your blog posts more complete. The plugin is available for free in the official WordPress repository. Google Analytics is the gold standard for measuring the number of visitors your blog receives and learning more about the audience of your blog. It should be one of the first things that you install on your blog and you should spend time learning how to use it and how to use its information to help you improve your blog. You can install Google Analytics on your WordPress blog easily by using a plugin like Monster Insights. You'll need a Google or Gmail account, and you can sign up for free for a Google Analytics account here. 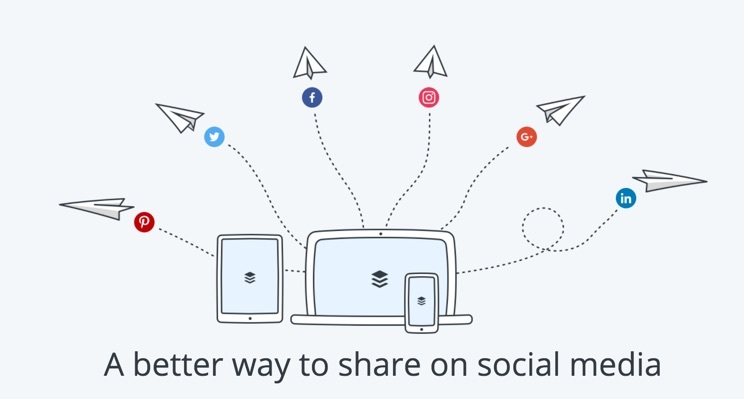 Every blogger should have at least a basic presence on all the major social networks. Having an account on Facebook, Twitter, Linkedin, Instagram, Pinterest, and Youtube helps reach a wider audience and facilitates the engagement with the audience for the blog where they like to hang out. Sign up for each network and develop a profile. Learn to search each platform and understand how your audience is using each of the networks so that you can participate in relevant conversations when necessary without having to start from scratch. Buffer works the best in a browser, but it's also available for iOS and Android, just go to their main website here to get started. Of course, the best thing is to find writers and contributors that don't steal other people's content but just in case, you can use Plagium for free by visiting the website here. Evernote is the swiss army knife of research and note keeping. It's a very powerful tool that helps you gather your thoughts when you're researching a topic. The browser plugin helps you make connections to stuff you might have researched before. If you use it in conjunction with Skitch, then you can also save screenshots and photos and recall them with OCR (optical character recognition) which means that you just have to type in a word that appears in the screenshot or picture to bring up the note, even if you saved it months or weeks ago. The free version is very powerful, but the paid version is very inexpensive, you can start using Evernote by visiting their site here. Dropbox is a cloud storage service that lets you easily save files and documents so that they're available from any of your devices almost instantly. You can also use it to share access to a file or document with other bloggers or contributors. Dropbox, like Evernote, is free for a limited edition of their service, but you can sign up and invite others to use it to get more free space. If you want to sign up and receive an additional 500mb of free space, then sign up for Dropbox here using my link. Aweber is an autoresponder email system that helps you send your blog posts out to your subscribers on a regular basis. It is a powerful tool that should really be at the very top of this list. The only reason I didn't put it up there is because it only has a free month trial and after that, you'll need to pay for the service. I use it and I highly recommend it, you can use it to build your email list and send your blog posts manually or set it to automatically send the blog post automatically after you publish it. You can also create a newsletter or digest to stay in touch with your readers. 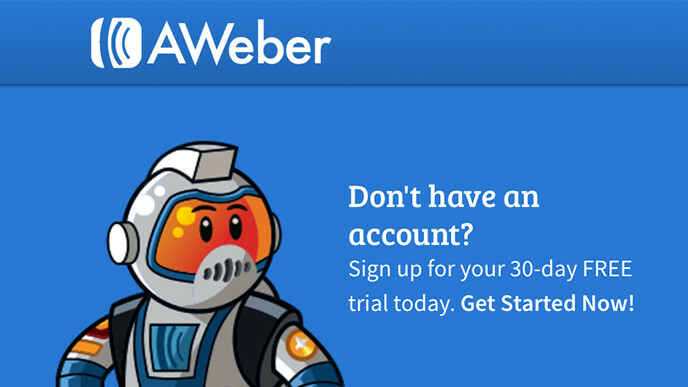 Get started with a free 30 day trial with Aweber here. I have blogged about Optinmonster in the past, so maybe you already use it because of my suggestion. 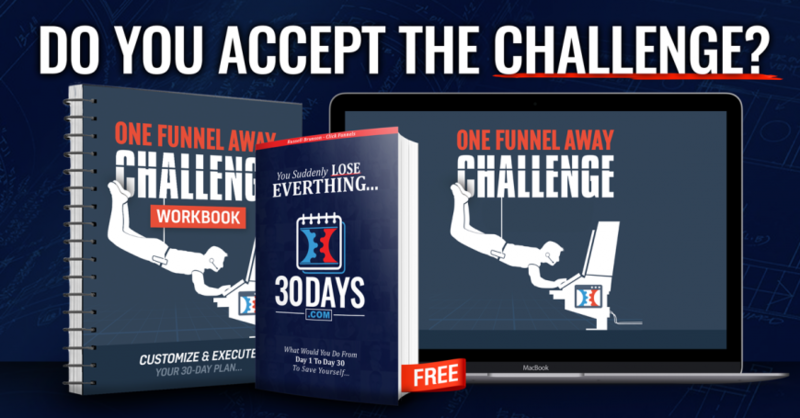 It's one of my favorite tools and I make it a requirement for any of my students or clients. That's how much I like it and believe in its capabilities. If you're trying to grow your audience and exposure on your blog, you must use Optinmonster. It is under heavy development and the team constantly adds new features that benefits all bloggers, like custom code, analytics, content lockers, conditional triggering and much more. If you're ready to elevate your blog, then check out Optinmonster here. 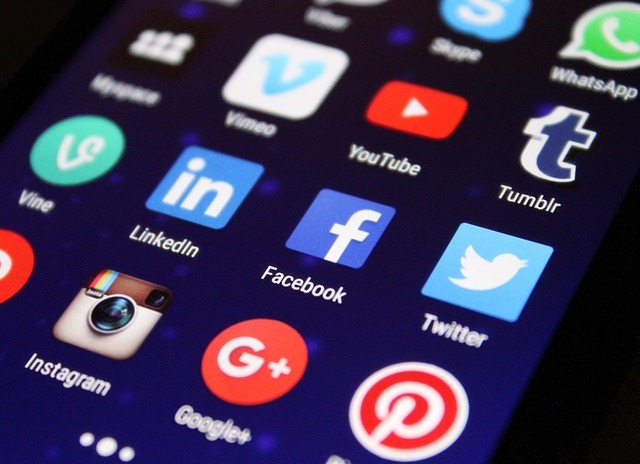 As I reviewed this post, I realized I am missing a number of apps and services that I use on a daily basis, but I also understand that your time is valuable and if you're new to blogging this list should keep you busy for a while so I'm going to stop at 13. I would love to hear your thoughts on this list, and I want to know if you interested in learning about the other tools. Let me know in the comments or on social media. This is a very detailed and thorough article detailing some of the most important WP plugins every blogger needs. What do you use for keyword research to see how popular and competitive a keyword is? I always start with Google, I look at the search volume. I then use a number of tools to help me, SEM Rush is one of them. I look at MOZ’s tools as well. I also use the Yoast plugin for WordPress to help me fine tune the blog post itself. Capitalize My Title looks awesome! Will definitely be using this. Thanks! You are welcome, Luke! And yes, it is pretty useful, even for sub-headings and stuff. Now, I’m wondering if there’s a plugin for that.